Brainstorming session during work, a photo by Sew Festive on Flickr. Fun! 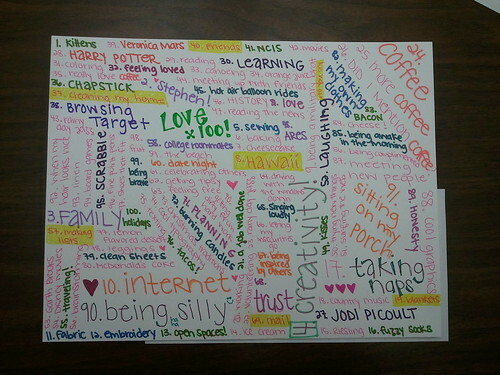 I made a list of 100 things I love awhile ago, and it's a nice thing to read through from time to time. Mine's not so artfully arranged, though!